The Ferrari SP38 might be based on the 488 GTB and is somewhat inspired by the Ferrari F40, still, it is very much a unique sports car in its own right. 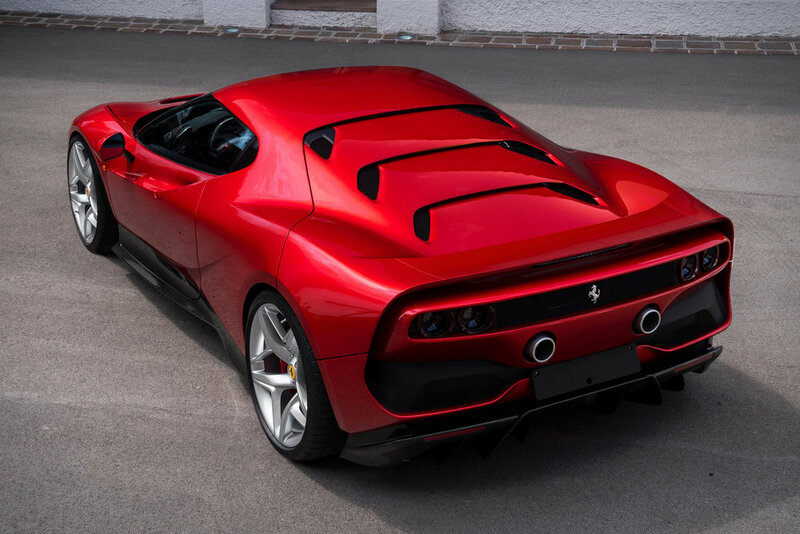 The Ferrari SP38 has all-new bodywork with hidden air-intakes, a slim bumper lip similar to the Ferrari 308 GTB, a new engine cover, and an integrated rear spoiler. It also comes wrapped in custom carbon fibre trim and a nice three-layer metallic paint-job.